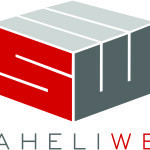 Welcome to the Staheli West Support Forums. For downloads and resources, visit the Customer Portal or Dealer Portal. If you need more information, or have trouble accessing our resources please contact us. Sign up for our monthly newsletter "We DEW Hay" for hay farming tips and the latest news and updates.